Great day on Sunday at the May Fayre, even if our stand did collapse in the blustery conditions. Thanks to members and visitors for their support; especially those prospective new members – we look forward to you joining us. 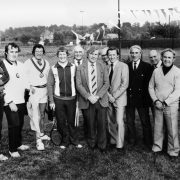 To join Wolverley Tennis Club please go to https://clubspark.lta.org.uk/WolverleyTennisClub/Membership and follow the on line instructions.